Joella Cabalu is a Filipino-Canadian Vancouver-based documentary filmmaker with an Art History degree from the University of British Columbia (2008) and a graduate of the Documentary Film Production Program at Langara College (2013). In 2015, she was selected to participate in the inaugural Hot Docs Shaw Media Diverse Voices training program and was also selected for the BC Arts Council Early Career Development pilot program. Her previous film StandStill was presented at the Vancouver Asian Film Festival. Her latest work It Runs in the Family will be featured at the Vancouver Queer Film Festival (VQFF) on August 16, 9:00pm at International Village. 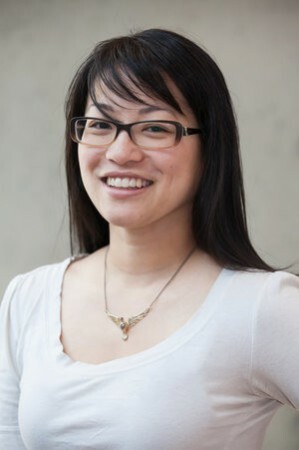 Ricepaper interviews Joella as part of its focus on Asian Canadian artists. This film features your brother Jay Cabalu, who is a gay Filipino-Canadian artist and yourself as you both travel across the globe to meet your other queer relatives. What was this journey like? Did you know from the start whom you would encounter and what types of things you would learn? Joella: This journey has been life-changing both personally and professionally. From the beginning, I did have in mind of whom I wanted to meet and feature in the film, but there were some relatives especially the ones in the Philippines that I had never met before (or at least don’t recall) which I knew would require some time to build a rapport with prior to us filming in Manila. So there was a bit of risk there in terms of how comfortable and open they would be to speaking about their personal experiences on camera. I was pleasantly surprised though at how all of my relatives in the US and the Philippines were candid and honest about their views on “coming out” which I discovered is really a Western construct. So it challenged me and my brother to consider the politics on “coming out” in a different way, which I hope sparks dialogue with viewers as well. You were born in California, grew up in Brunei before coming to Canada, settling Vancouver. What was it like growing up in diverse cultures and how has it shaped your views of the world? And of the city of Vancouver? Joella: I recently celebrated the 25th anniversary of our family immigrating to Canada when I was 6 years old. I have very vague memories of growing up in Brunei, a predominantly Muslim country and I never grew up in the Philippines nor California. My life has been in the Lower Mainland and yet in Vancouver, I am often asked “where are you from?” Being a woman of colour and having a diverse background has shaped how I understand the world to view me and simply saying “I’m Canadian” doesn’t seem to satisfy that question. So I’ve become more interested in exploring questions of identity and belonging in my work because I believe many non-white Canadians and immigrants struggle with similar issues and they are often not heard. This film is an evolution of your short film StandStill which is about the discussion your brother Jay has with your parents on the lingering tensions between them due to differing attitudes about homosexuality and his coming out. How has the story evolved and why did you decide to continue the project? Joella: I had always envisioned creating a longer project and my graduating student short film was a stepping stone to that goal. The story has essentially opened up to our extended family members and reflects the immigrant experience of Filipinos in the diaspora. You have said that gender and racial representation is disproportionate in the film industry. What do you hope It Runs in the Family — and on a broader level, your work in films — will achieve in this respect? Joella: I’m proud to highlight that the key creative roles on this project (Producer, Director, Editor) were all filled by women and that all of the cinematographers in each location that we filmed (Vancouver, Oakland, Manila) were Filipina women who also happened to be lesbian. I think that it’s important that the diversity that’s reflected in front of the camera was also reflected in our team behind the camera. That fair and accurate representation is vital for women, people of colour and the LGBTQ community to believe that their experience matters and that they are capable of working in the film industry. All filmmakers are influenced in one way or another by other films and filmmakers. You’ve said It Runs in the Family is influenced by the 2007 documentary For the Bible Tells Me So. Before you got into the film industry as a filmmaker, who made an impact on your work as a filmmaker? Whom do you continue to follow in films? Joella: Ever since I was young child, I had always been interested in movies, picking out films to watch at the video rental store with my family. I believe “Before Sunrise” (1995) by Richard Linklater had a big impact on me because the concept was so unconventional yet simple – two hours of just two strangers talking and walking around Vienna for an evening. But it was the writing, the natural acting and chemistry of the two actors and long still shots that captured what I like about films, how they make you think and reflect about big questions in your own life and the world around you. I don’t have specific filmmakers that I follow but lately I’ve found that I get very excited about films that are odd and weird but have contemplative and thought -provoking themes, like “The Lobster”. What is the reception like for this film and your work about LGBT issues in Vancouver’s Filipino community? As your previous short film has revealed, there’s a certain social conservatism and judgement of LGBT issues among those in the community. How have you faced challenges in making this film? Joella: The reception for the film and my work in the Vancouver Filipino community and the Asian American community has been incredibly positive. There’s a thirst for more dialogue on these taboo topics of homosexuality and religion and the impacts on the family unit. I found it surprising that many Asian American film festivals have invited the film which speaks to that need for more dialogue but also to the need for more diverse representation of individuals from the Asian or Filipino community. The film challenges the perception that all Asians are monolithic and conservative towards LGBTQ issues. In general, it was a challenge to engage family members in a discussion on a very sensitive topic when a typical practice is to leave things unspoken. So, recognizing that I was asking my relatives to participate in something that is foreign to them, I tried to continually check in with people and communicate that the aim is not to be judgemental but to be open-minded and understanding. It was certainly a challenge for me as well to set aside my Western ideas and not impose them. You are a graduate of the Documentary Film Production Program at Langara College. Why did you choose this particular program? How did it support your journey as a filmmaker? Joella: I became interested in the continuing studies program at Langara College when I watched the documentary “Oh Sushi: From the Land of the BC Roll with Love” by Langara alum Toshimi Ono at the Vancouver International Women in Film Festival in 2012. It was so inspiring to see an Asian woman direct a film! As I researched further in the program, I found that it fit my needs – short time frame, affordable, and small class size. I knew that entering the program would be the beginning of a career change so I worked towards creating my graduating film StandStill as a “calling card”. Being able to direct, write, and edit my own projects is a rare opportunity in film schools so I feel very fortunate to explore a personal story from beginning to end. I think it was a great environment to bounce ideas and take risks because I had a support network of classmates and instructors. After I graduated, I pitched It Runs in the Family to OUTtv by using StandStill as a sample of my work and they immediately supported the project. You traveled to the Philippines as part of this film’s exploration of the issues of coming out and LGBT issues in Asia. What did you encounter through this process that was the most memorable? Joella: This was my first visit to the Philippines since I immigrated to Canada and I had my expectations that the country would be very Catholic and conservative towards LGBTQ issues. And we certainly encountered religious protesters at the Metro Manila Pride Parade, but my main takeaway of the experience was the openess and love of my religious relatives towards their LGBTQ family members. Have you considered doing narrative/fictional films? Has there been any interest in this area? Are you working on anything in this area? Joella: Earlier this year, I was selected to participate in the 2016 Cineworks Play it Forward contest where independent filmmakers are partnered with non-profit organizations to create a video campaign. I wanted to challenge myself creatively, so I directed and wrote a short fictional drama called “Ready” but with a documentary style. I worked with the Dixon Transition Society that supports and houses women and children who are fleeing violence and I wanted to capture the moment when a mother must decide whether or not to change her situation of violence. It was a positive first experience and I definitely want to continue challenging myself and experimenting with non-fiction and fiction visual and writing styles. What is the process in getting this film featured at the VQFF? What other festivals will we expect to see It Runs in the Family? Joella: It’s a marathon just to complete a film and another marathon to strategize festival distribution and raising funds to do so, because each festival has submission fees. So as an independent filmmaker, you have to balance what you’re willing to spend on fees with which festivals you have a higher likelihood of getting in. It was important to feature the film at the VQFF because StandStill premiered at the 2014 VQFF which was my first festival experience as an artist. Also, we wanted to celebrate our hometown premiere with our friends, family, and the Vancouver OUTtv team! We’re actually coming to the tail end of our festival run as the film has screened in major markets in the US, including San Francisco, Oregon, New York, and Houston, winning the Audience Choice Award at the Seattle Asian American Film Festival. In October, it will have its national broadcast release on OUTtv. What is your next film project on the horizon? Joella: I am currently co-producing a BravoFact funded short documentary that’s in production in Toronto called “Repairing Society”. It captures the warmth and knowledge-sharing community of the Repair Cafe Toronto chapter and the volunteers who are called Fixers that meet monthly to fix the public’s broken household items from lamps to stuffed animals for FREE! I am also developing a series of documentary shorts on first-hand stories from Asian Canadian women living in Vancouver on the nuances and negotiations that they face when in a relationship with a white guy. What would you tell a new writer who is interested in becoming a filmmaker? What advice can give to someone who wants to enter the industry? Joella: Before entering film school, I never realized how much writing is involved in making a film. For someone who is a writer, whether new or experienced, I think there is a benefit because you’re a story teller! It helps for me to write down my thoughts and questions relating to a story idea, but the challenge is convey those same thoughts and questions in visuals. Part of my process then is to research films that are similar to my story idea to see what worked and didn’t work visually. For someone who is considering entering the industry, ask yourself “why” and ask it often. If you want to tell stories, why does it have to be through films? Why not through books or paintings or songs? Why do you want to tell a particular story? And why should it be you to tell that story? It can be very challenging financially to secure funding for projects but to also pay your rent, so your “why” has to be compelling enough to keep you going.